Modular up to 3.6 MW Taking power availability to the next level. 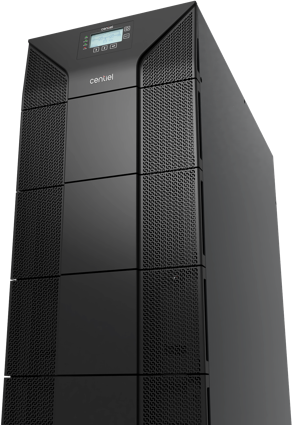 CENTIEL is a Swiss-based technology innovation company with a highly experienced team of designers, who have developed the ﬁrst 3 phase-modular fault-tolerant UPS-system. With our passion and commitment for innovative design, product quality, and customer care, we are keeping pace with the increasing availability challenges in data centers and other mission-critical applications. Our competitive advantage relies on an open minded, direct managerial style, as well as a lean organizational structure, and quick decision making. Big data, Industry 4.0, and the Internet of Things require a global and always-on network. As a result, traditional high-availability technology is no longer good enough. Datacenters and systems now span the globe and applications must be accessible at all times. Meeting these higher-availability demands requires a new power protection strategy that accounts for the increasing complexity of enterprise application infrastructures. Thanks to our extensive failure analysis research and insights gathered from 25 years of ﬁeld experience working with a large number of data centers and other critical environments, our power protection solutions have reached the highest levels of availability to reduce downtime risk, avoid costly errors, and increase energy eﬃciency. To respond to highest availability requirements i.e. to eliminate risks that may cause computer downtime of business-critical applications. Swiss made and designed Uninterruptible Power Supplies for the present and future of the most critical power applications. 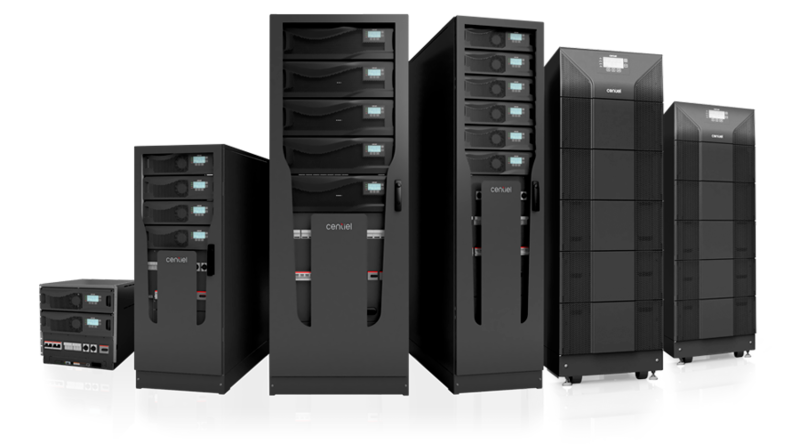 From Standalone PremiumTower10-60kW to the most advanced and highest availability modular solution CumulusPower. 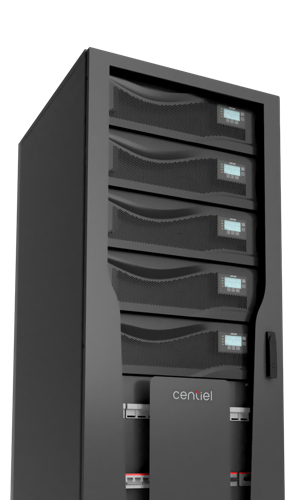 Centiel advanced technology takes availability to the next level.